There is even more competition now in the Perpetual Contracts market in crypto: now with Crypto Facilities launching a continuous perpetual futures with 4-four fixed rate that changes every 4 hours. The detailed specifications can be found here. Now there are three strong products on the market for perpetual crypto contracts: BitMEX, Deribit, and CryptoFacilities. All three of them have the rate based on 8-hours. There are advantages and disadvantages of the approaches. BitMEX gives you fixed rate for 8-hours which is good certainty. But Deribit and CryptoFacilities give the convenience and efficiency of continuous payout of the rate. Crypto Facilities as a London based exchange brings high quality tech and product design to the table. And unlike BitMEX and Deribit who only offer Bitcoin, Crypto Facilities allows you to send ETH, LTC, BCH, and XRP to trade the contracts. The benefit of a Perpetual Futures is that you do not have to worry about "rolling" the contract at expirations, you just hold the position and often you can earn net interest on the carry. So if you are holding any of the top 5 cryptocurrencies and want to manage your risk using leveraged derivatives to navigate this bear market, then sign up at Crypto Facilities and try their Perpetual Contracts. Finally, a competitor to the BitMEX perpetual swap! Don't get me wrong, everyone loves the BitMEX XBTUSD perp. But frustration over choppy index, rejected orders, and mega lag has left many traders begging for real competition to BitMEX's perpetual swap. And with OKex barely staying together with their constant issues of rollback, manipulations, and bailouts, there is not really any other game in town. 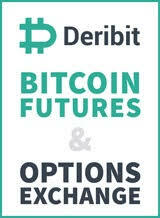 But have no fear, btc Futures & Options exchange Deribit has released their answer to the smash hit bitcoin derivatives product the XBTUSD BitMEX Perpetual Swap ("perps"). For a bit of background: BitMEX's perpetual swap is basically a Futures that does not expire, and instead has cash flow disbursements every 8 hours which dynamically adjust to anchor the price to spot. It does about $4-5 Billion in notional volume these days. Traders love it, you can earn BTC cash flow and trade on 100x leverage, with excellent liquidity, spreads usually never more than a tick wide. But one odd part of it is that the swap payment is totally discreet, as in, it pays out at one point in time to all the open interest, every 8 hours...pretty arbitrary, right? Deribit's model uses an 8 hour interval as well, but instead of a discreet payout, the payout occurs continuously, which leads to a smoother adjustment mechanism to anchor the swap to spot. If you are frustrated with BitMEX lag or order rejection errors with them, give Deribit a try. They have an Erlang based system that scales very well. 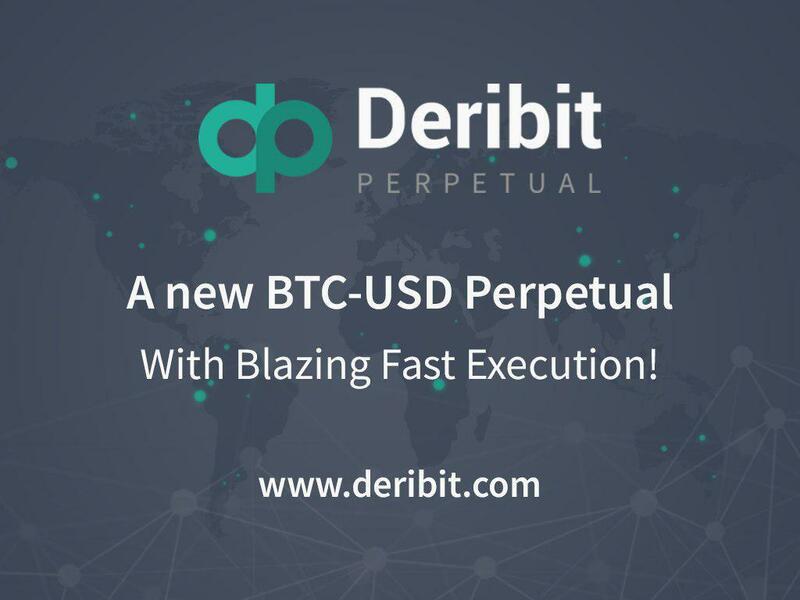 Start trading on the Deribit BTC/USD continuous perpetual swap now. 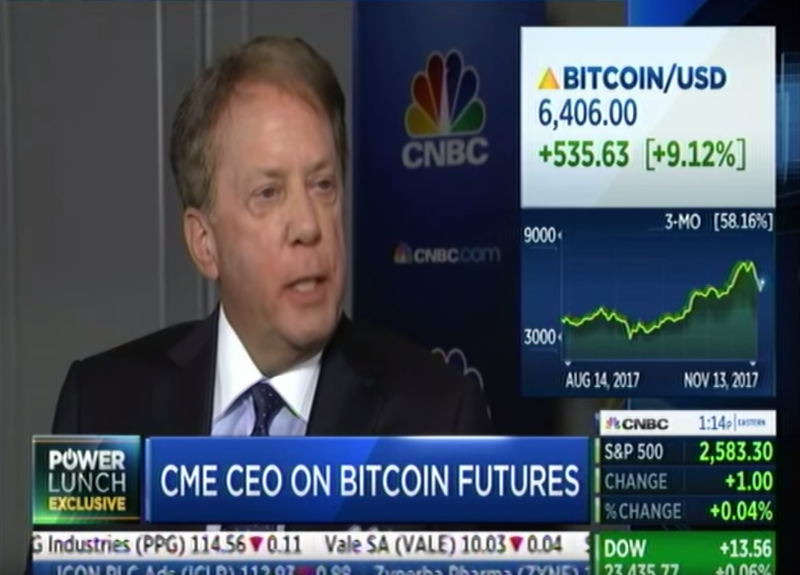 Chairman and CEO of CME Group Ted Duffy has today made the most specific mention of when the CFTC-regulated and broker-ready Bitcoin Futures will be available: Second week of December. Currently, the space is dominated by BitMEX, OKex, Deribit, and Crypto Facilities, unregulated futures with social loss algorithms to control risk. Since they are not regulated futures that are centrally cleared and guaranteed under strict rules, they represent more parimutuel betting products. While they are professionally run by fantastic teams, they still serve an unregulated market that uses only bitcoin as collateral and has inverse payouts in fiat pairs (US dollar). The CME product will be cash-settled, just like the unregulated products. They will not trade over the weekend, whereas the unregulated products trade 24/7 with very low fees. The CBOE has also announced its intention to list Bitcoin Futures. Van Eck is also making efforts. These groups of exchanges will co-exist with one another. Just because CME trades a product that traders on Interactive Brokers and ETRADE can access, doesn't mean that there is not a role for the OG crypto derivatives exchanges to play. One strong point of the unregulated exchanges is that they use crypto for collateral. The CME product uses only fiat that brokers offer. There is a totally different market segment being targeted. Only a small share of the existing traders on crypto-collateral derivatives exchanges would be dragged away to the legacy exchanges. The ability to pull out your profits intra-day in cryptocurrency has serious value that CME simply does not offer. 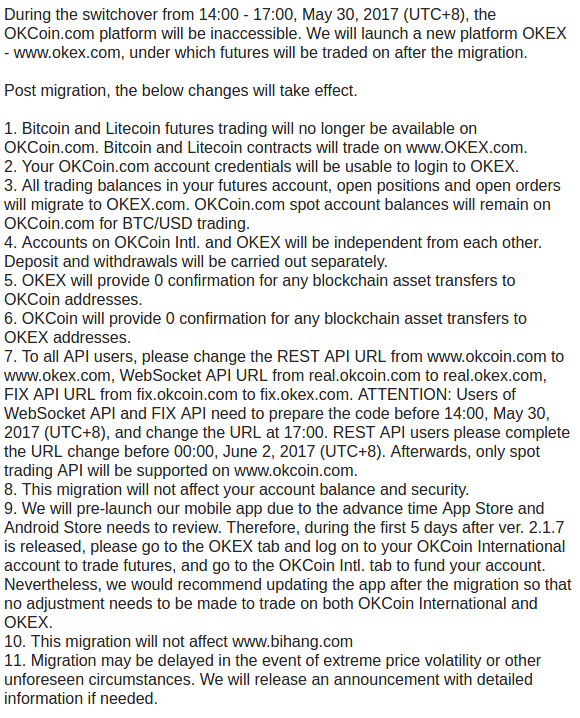 OKCoin has just announced that they will be shutting down Futures trading for OKCoin.com International. Concerns from PBoC intervention earlier this year have made Chinese bitcoin exchanges be very careful when it involves handling USD or USD-related blockchain assets. BitVC has been shut down, which was Huobi's futures exchange, but OKCoin.com futures are still the #1 highest volume Bitcoin derivatives exchange. However, BitMEX has been right behind them so OKCoin would be crazy to shut down such a successful operation. This move hopefully will lead to sufficient segregation from any fiat operations and finally keep regulators off their backs.